One of the things I missed most after having my first child was jogging. Sure, I could occasionally fit in a small jog session here and there but gone were my days of regular jogging each afternoon. The biggest difficulty was finding time to jog. I couldn’t leave my 8-month old at home and I certainly couldn’t take them with me. Jogging with a regular 4 wheel stroller would be impossible. So, imagine my joy when I found out that you can take your newborn jogging with you by using a 3 wheel stroller (also often called a jogging stroller). Now I have 3 kids, one of whom is still very young, so I’ve bought a lot of jogging strollers over the years. But, I think the Graco Fastaction has to be hands-down the best 3 wheel stroller I’ve ever used. I think it’s such a good stroller, that I think every mom (or dad) who loves to jog should consider getting one so that they can keep jogging while keeping their child safe. For starters, with the Graco, the child in the stroller doesn’t seem to experience any “jolt” when you start jogging. Usually, when I go jogging with a 3 wheel stroller, I notice my young one experiences quite a few jolts, even while securely locked in. While I’ve read that that is perfectly normal, I still wasn’t a big fan of it. But, that doesn’t happen with the Graco. My child remains securely locked in and doesn’t really experience any jolts, even while on bumpy ground. I also love how durable it feels. One of the big issues I have with a lot of strollers, even somewhat expensive ones, is that some of them feel a bit cheap in certain areas. I feel like they’re at risk of breaking. Trust me when I say that that is not an issue with the Graco. It is an absolute tank of a stroller. The moment you push it for the first time, you will realize just how much bulkier and how much taller it is than any other stroller you’ve ever used. You can tell that is well made and that you will be using it for a long time. I’m not what you would call technically inclined, but even I found it easy to put the Graco together. I had the stroller up and running within fifteen minutes. So, even if you are like me and aren’t good at putting things together, you can still assemble the stroller with no help required. Also, I found that it was very easy and very quick to change the stroller from being in jogging mode to being in regular walking mode. There aren’t really any negatives to mention, it really is an amazing product. So, if you are in the market for a 3 wheel stroller, I wholeheartedly recommend getting the Graco Fastaction; I guarantee that you will love it as much as I do. Don’t hesitate, check out the Graco Fastaction on Amazon to see if it is right for you. How about a stroller that not only tucks your kid in it safely but also allows you to take it along while you enjoy your jogging? Sounds incredible, isn’t it? The Graco FastAction 3-wheel stroller provides you exactly that. 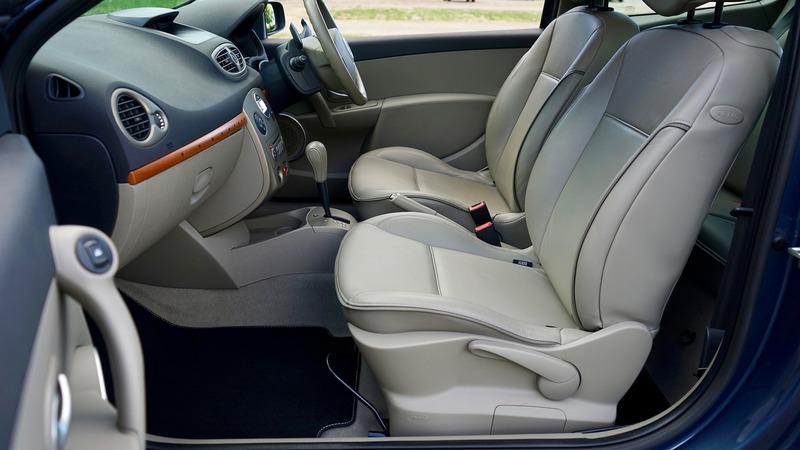 Now, you don’t have to worry about your kid experiencing any jolts or scare while you go jogging on bumpy roads. 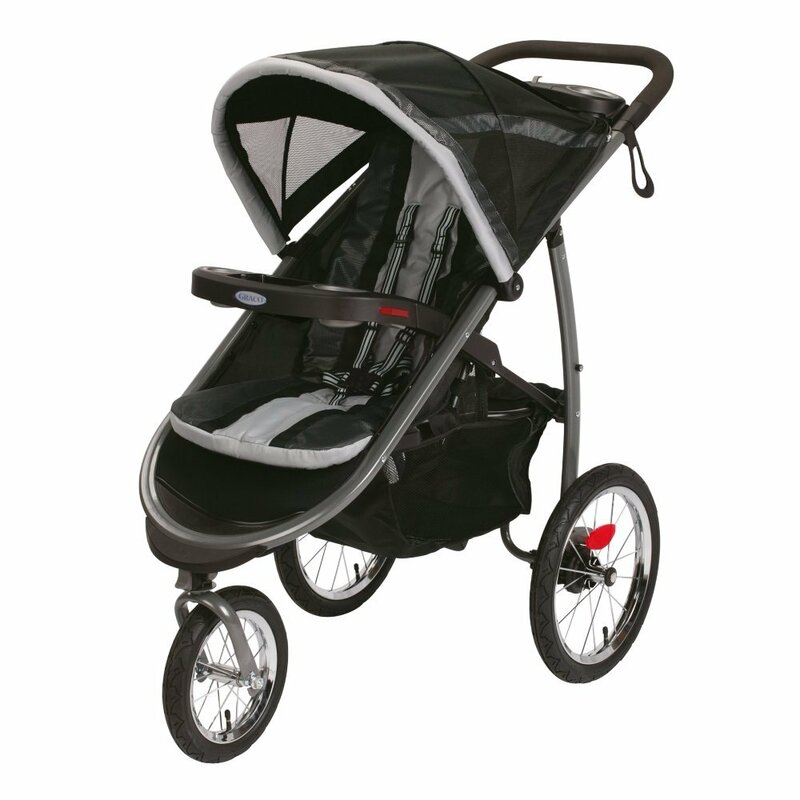 If you are done with your jogging, you can also easily convert this stroller to the regular mode from the jogging mode. It is easy, comfortable, affordable and easy to install and use. Go for it, and you will not regret your decision, ever!